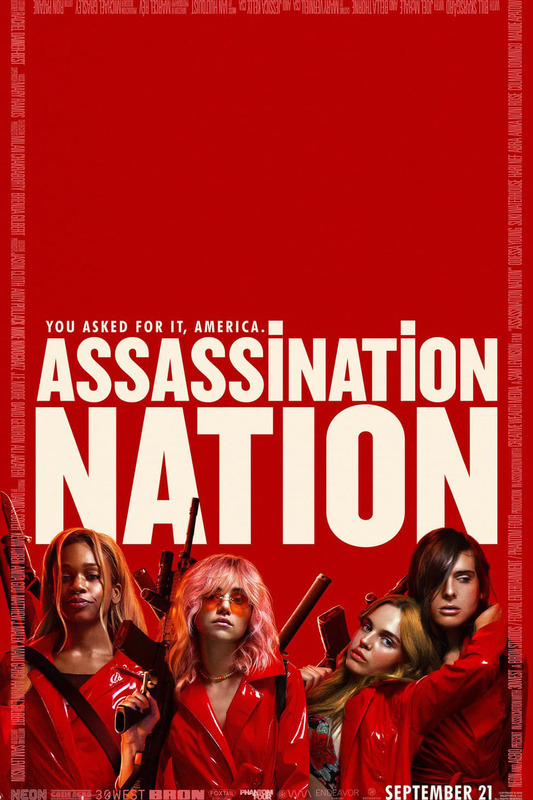 Assassination Nation DVD and Blu-ray release date was set for December 18, 2018 and available on Digital HD from Amazon Video and iTunes on December 18, 2018. Lily, an 18-year-old senior at a high school in Salem, and her best friends, Em, Bex and Sarah, share their lives with one another and sometimes the world through posts, selfies, chat messages and texts like everyone else these days. This has been their normal mode of communication all of their lives. Unlike many of their classmates and most adults, they recognize that whatever they post online might last forever. They understand that they have zero privacy. When an anonymous hacker starts revealing everyone's secrets to the public, a madness descends on their town as people attempt to cope with extreme emotions caused by the many scandals. The girls find themselves in the middle of a war zone as the day progresses into night because everyone starts to cast aside civility and morality while trying to flush out the hacker.